Experimental black metal has lately been a thing I opened about, and I’m glad I did. The amount of incredibly good music that this genre hosts is mind-boggling, and I won’t ever forgive myself to not have opened up to the marvellous world of black metal before that. 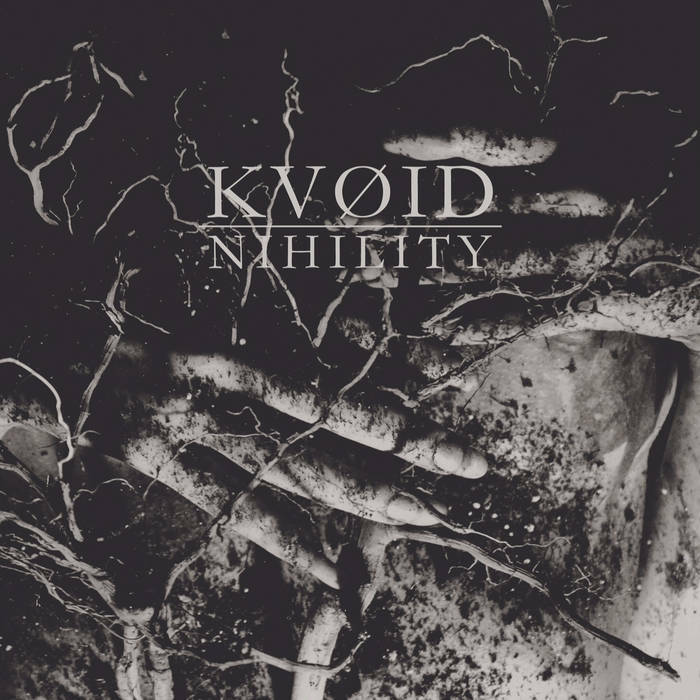 That being said, the latest band I became acquainted with is Kvøid, a duo from Portland whose first album, Nihility, came out September 23rd of this year. First off, the amount of field recordings and minor seconds on this album is rather impressive. It reminds me somewhat of Ulcerate and Baring Teeth in that regard. The album will take you on a doomed journey from which you will only escape when the music stops, and it would probably be safe to get exorcised… just to be sure. It’s not the kind of relentless black metal either. In fact, there’s only a few climax moments, the rest is comprised of calmer but still wicked moments that sets you in a rather disturbing atmosphere. Although relatively short, Nihility really is a great experience. There is no weak or out-of-place moment on this, and it’s a good case of quality content over quantity. As St-Exupéry said, perfection has been achieved not when there is nothing left to add, but when there is nothing left to take away. But the adverse effect of this is that I still want more.